Today KENKO VcSmart 10x30 is one of the lightest and most compact binoculars with image stabilization. 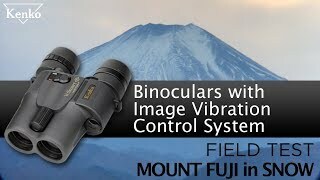 The model is suitable for travel, concerts and sporting events, bird sightings and starry sky. 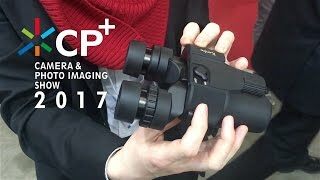 For astronomical observations at 10-fold magnification and the image stabilization system to compensate for a small aperture (30 mm) lenses. 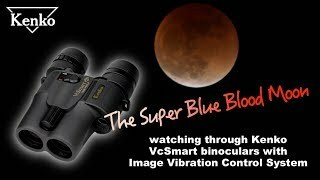 Plus a good field of view of 5.2° and light weight 515 g. the stability of the image increases the permeability of the stars, allowing you to use Kenko VcSmart 10x30 along with powerful astronomical binoculars 10x50. 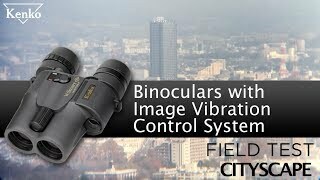 The KENKO VcSmart 10x30 binoculars - great optics, clear picture and a universal application. On the lenses and Roof prisms – fully multi-coated which improves light transmission and minimizes flare and chromatic. The natural brightness, contrast and color reproduction of the image. Due to its physical parameters - shell thickness 51 mm weight 515 g, non-slip coating - binoculars comfortable to hold in one hand even under strong wind. Clarity, good resolution and close focusing distance of 3.5 m will allow you to see license plates of cars, the plumage of birds, inscriptions or bas-reliefs on buildings. And turn-and-slide eyecups and eye relief of 14 mm is good for those who is observing only glasses. To eliminate vibration no longer need a tripod or fixed support. Electro-mechanical stabilization system increases detail and removes jitter of the picture when observed with it. 2-axis hinge mechanism maintains a stable position of the prism unit to compensate for even minor shaking within +3 deg. The offset in the vertical and horizontal axes is monitored gyroscopic sensors. Stabilization system is triggered by a transfer lever to the ON position, signaling the beginning of the work of the green glow LED (on the body). No delay or buzz when running, no need to keep your finger on the button. One lithium batteries CR21 enough for 12 hours, which is 33% larger than the binoculars-analogues, for example, Canon 10x30 IS II. To conserve battery Kenko VcSmart has a function "AUTO OFF": 10 minutes of complete immobility – and the power is turned off automatically. In this case the lever remains in the On position, and the control light goes out. Buy binoculars with stabilization Kenko (Kenko) you can have the exclusive distributor of the manufacturer in online store Sturman. Call +7(495) 989-10-56 or leave questions on the website. 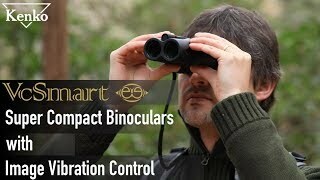 We will provide relevant information and will help you to choose binoculars for daily observation!